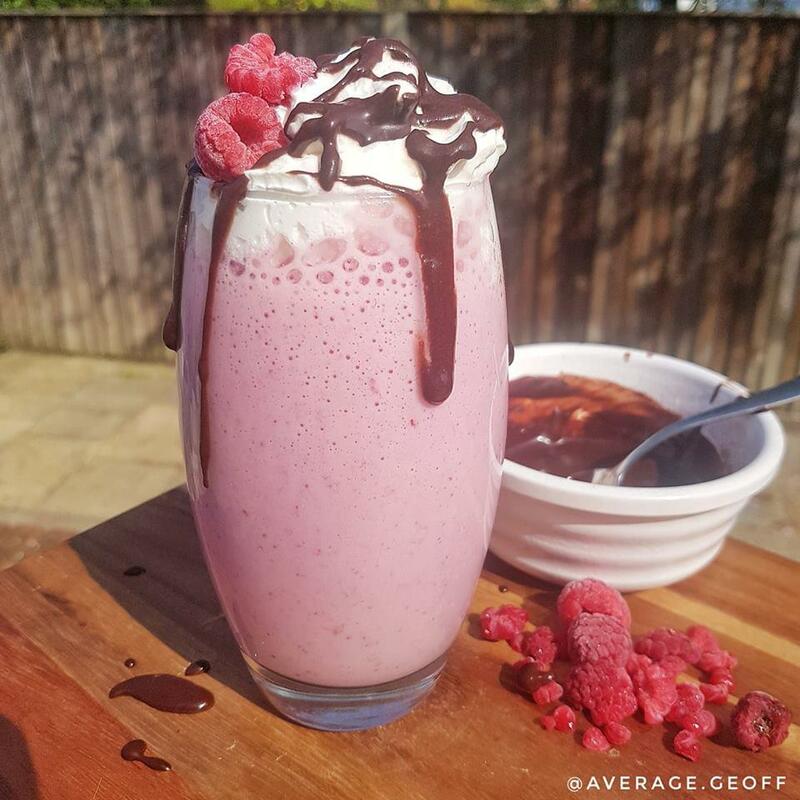 Time 4 Raspberry Ripple Chocolate Swirl Protein Shake, Phew, there's a lot of words there! All worth it for this pimped up flavour wagon. As long as you've got a blender of some sort this glass of awesomeness is going to make you feel like summer is here early. Chuck the protein mix in a blender and blitz until smooth. It should be pretty thick. If not, add a little ice and blend again. Pour into a glass then dollop a teaspoon of your choc sauce into it and let it drop down for a chocolate bomb in your shake. Top with some low fat whipped cream and drizzle over a little more choc sauce.